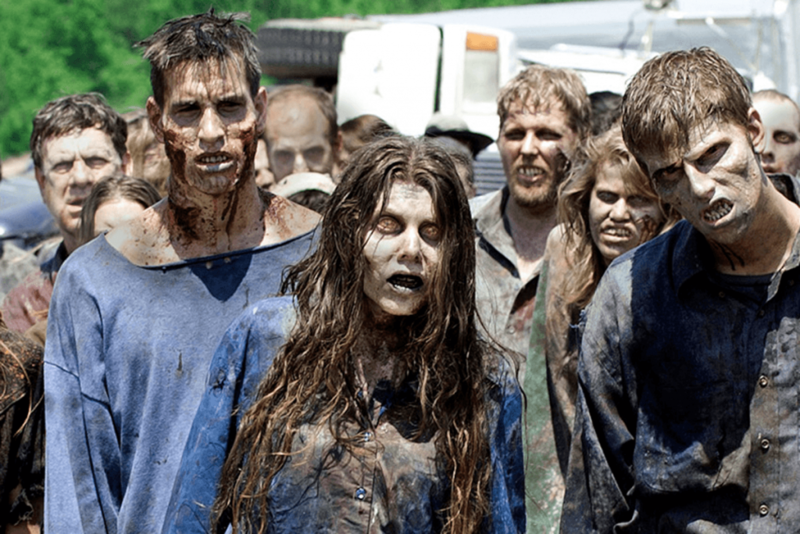 HOLLYWOOD, Calif. --- Writers for hit post-apocalyptic television series The Walking Dead have confessed to devouring this quarter's Adventist Sabbath School Lesson on the End Times in search of horrifying plot twist material. "We are well into our eighth season on this show, a ninth is coming and quite frankly, no one knows the day or the hour this series will finally end," said lead writer Nosay Kwando. "As soon as I saw the Adventist Sabbath School Lesson was about the End Times, I knew I'd found material for at least another couple seasons." Kwando said that, in addition to being faithful Sabbath School students, he and his staff had attended entire End Times seminars hosted by the "fringiest of fringy self-supporting Adventist groups to figure out what we could possible come up with next." Kwando also expressed "heartfelt gratititude" to the thoughtful editors of the End Times-themed Glow tracts for their contributions to the show. "You guys are lifesavers," he said. If you want to see some real walking dead, check who comes in the front door each Sabbath. Long faces, tattered un-ironed clothing, frizzled hair do’s, misaligned ties, food stained dress shirts females wearing tight fitting garments, feet spilling out of one size too small shoes, open toed high heels displaying ugly toenails and too many more frantic attempts to dress up & show off the latest fashions and styles. Do we not still practice dress reform? As for me and my family, let us eat more Little Debbies and support an SDA business!